Does anyone know if the Captain of P&Os Oriana is female? Ok, Ok before all the hate mail starts I'm just joking but have you seen the pictures of her after her little accident? 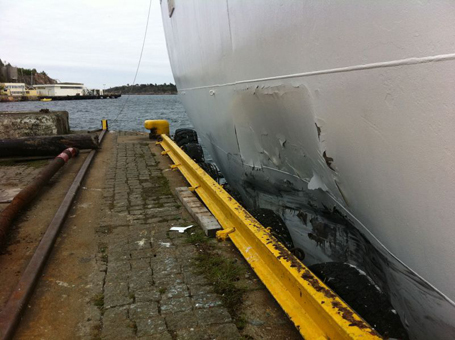 She was leaving the dock in Kristiansand whilst on the last leg of a fjord cruise before sailing home to Southampton when she bumped into the quay she was leaving. 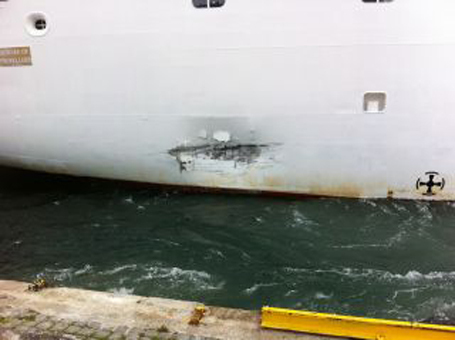 It happened last Wednesday but fortunately all the damage to the ship was cosmetic and she left on schedule for her next cruise. 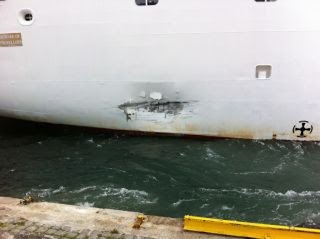 The quay itself was slightly more damaged with the port authority operations manager, Thomas Grandfeldt, commenting that a water pipe and an optical cable on the quay side were damaged. I'll admit not the most exciting news story to ever cross my desk but I do love these pictures below of the damaged ship. It's nice to know that it's not just us car drivers that have the occasional accident.